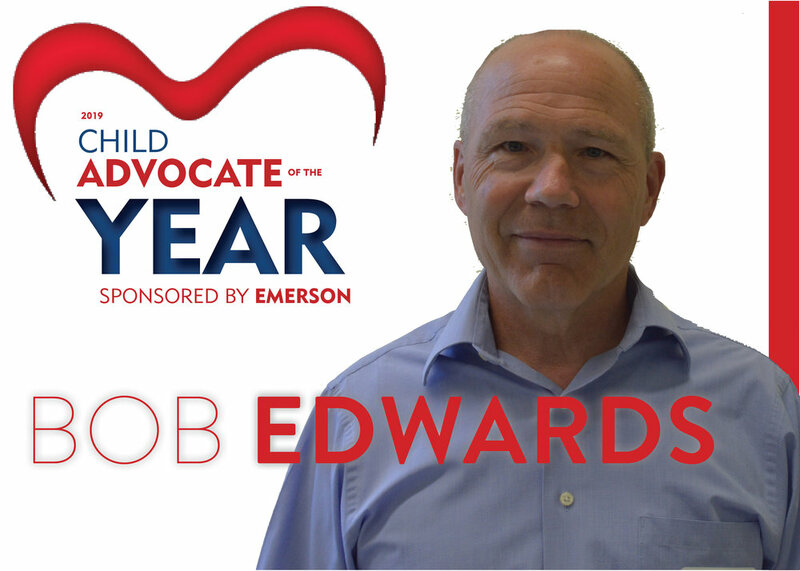 Robert (Bob) Edwards has been a CASA volunteer for nearly two years. While many of our CASAs begin their advocacy with one child or smaller sibling groups, Bob hit the ground running on his first case, serving a sibling set of six children! He is a driving force on a team full of strong personalities. He is skilled in making sure the children’s voices (a case of teenagers) are not lost among the many adults with their own thoughts and opinions. This can be particularly challenging for kids growing up in this system. Many teens feel they are parented by committee and Bob does a great job advocating that they speak up and take charge of decisions being made about them. Bob’s case is unique in that a large group of children came in together and have aged out, one after the other. The professional team never pushed for permanency and seemed content to let each of the siblings age out. Bob was added to the team to challenge this mindset and find permanency for the kids still in care. This was particularly challenging because of the pattern of this family and the feeling that aging out was normal. Each of the kids had gone through aging out programs and had come to expect those kinds of support as they age out. The decision to ask for a different kind of permanency was brave! One child in particular, Michael*, who was 16 at the time Bob met him, expressed that he would like a former foster parent of his to adopt him. The youth expressed to Bob that he had felt pressured by the team to not ‘rock the boat’ and to accept that he too would age out of foster care. Bob was able to advocate for Robert’s wishes with the team on multiple occasions which ultimately led to the judge ordering the team pursue the adoption. The family now has an adoption attorney and the hearing is scheduled to be set before his 18th birthday! Bob was vital in not only making sure the youth achieved permanency, but making sure that it happened on the timeline that it should. He handled all the obstacles put in his was with a determination and grace that was impressive in such a difficult situation. Bob jumped into a complicated case and ‘took the bull by the horns’. At the outset of his case, Bob invested countless hours to read the full case file of an eight year old case with many children to get up to speed. Bob then immediately set about the difficult work of building relationships and challenging the case's norms. He has been a positive and encouraging voice for these children as they approach adulthood. He encourages them to take accountability for their future and set and work towards goals. The kids have been empowered by Bob's presence on the team!